Frans Bosch will be presenting at the International Festival of Athletics Coaching on 25-27 October 2013. Frans Bosch is a professor of biomechanics and motor learning at Fontys University for Applied Science in Holland. 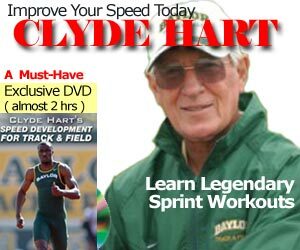 He is the co-author of “Running: Biomechanics and Exercise Physiology in Practice”, which is widely regarded as one of the top sprinting resources for coaches worldwide. A painter and anatomical illustrator, Bosch has a unique approach sprinting biomechanics and training. He was the Netherlands national team jumps coach from 2003-2006 and also served on that country’s Olympic staff in 2000 and 2004. Frans Bosch earned a degree in Physical Education in 1977. Since 1980 he worked in athletics, coaching elite sprinters and Olympic high jumpers and for some years as the national coach for jumping events. Since 2005 Bosch teaches at the Fontys University for applied sciences in sports, mainly in the field of anatomy, biomechanics, strength training and motor learning. Bosch has given numerous presentations on training related topics all over the world and frequently works internationally as a consultant in sport and as conference speaker on training related subjects. Clients in recent years are the English Institute of Sports, Wales National Team Rugby and others. Together with Ronald Klomp he wrote Running: Biomechanics and Exercise Physiology in Practice, 1e , published in the Netherlands in 2001 and translated in English in 2005. In 2012 “Krachttraining en coördinatie, een integratieve benadering” (Strength training and coordination, an integrated approach) was published in the Netherlands. You can hear his previous podcast with the CACC back in 2008 , as well as his podcast with UK Athletics in 2010. This podcast was recorded by the CACC from 2009.